Dr. Graham JW King received his MD degree at the University of British Columbia. After completing a rotating internship at the University of Alberta he went to the University of Toronto to train in orthopaedic surgery. During a research year in Toronto he became interested in orthopaedic biomechanics and soft tissue healing. After qualifying as an orthopaedic surgeon in 1989 he completed a clinical fellowship in hand and wrist surgery and a Masters of Science degree at the University of Calgary. He then travelled to the Mayo Clinic to gain further clinical experience in wrist and elbow surgery and additional research experience in upper extremity bioengineering. In 1992 he joined the Department of Surgery at the University of Western Ontario. He established the Bioengineering Laboratory at the Hand and Upper Limb Centre at St. Joseph’s Health Centre. With his collaborators he has developed strong linkages with the Departments of Medical Biophysics and Mechanical Engineering. Over the past 20 years the laboratory has been successful in attracting extensive peer review funding including CIHR, CAS, CAN and NSERC and has numerous industry collaborations. His current research interests focus on the biomechanics of the wrist and elbow as well as computer and image guided surgery. He has received the Premier’s Research Excellence Award from the Government of Ontario and the J. Edouard Samson Research Award from the Canadian Orthopaedic Research Society. He has represented the Canadian Orthopaedic Association as a North American Travelling Fellow and an American, British and Canadian Travelling Fellow. He has also served as the president of the Canadian Orthopaedic Research Society. 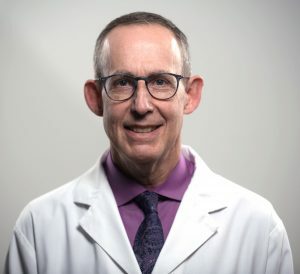 He is currently a Professor in the Departments of Surgery, Medical Biophysics and Biomedical Engineering at the University of Western Ontario, Chief of Surgery and Director of the Roth McFarlane Hand and Upper Limb Centre at St. Joseph’s Health Centre.